Enjoy the sweet life with this Easy Margarita Recipe! 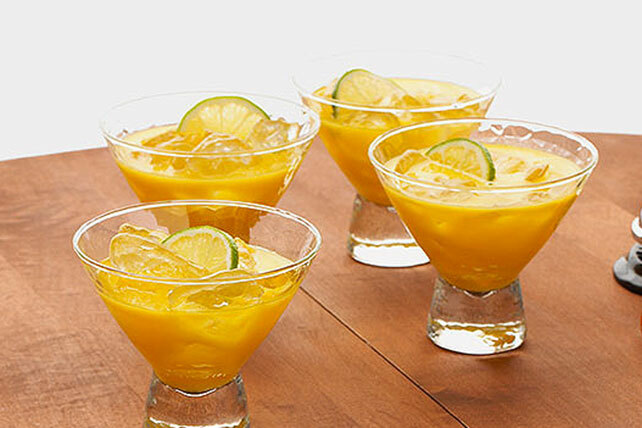 Featuring the citrus flavor combination of orange, lemon and lime along with the tangy tequila, this delicious Easy Margarita Recipe is sure to become a new party favorite. Add water to drink mixes in 1-qt. plastic or glass pitcher; stir until mixes are dissolved. Stir in tequila and lime juice. Serve over ice in salt-rimmed glasses. Garnish each with a lime slice. Blend ingredients in blender until smooth. Add 1 cup ice cubes; blend on high speed until thickened. Serve immediately. Prepare recipe as directed, substituting additional cold water for the tequila.